The Polish–Russian War of 1792 (also, War of the Second Partition, and in Polish sources, War in Defence of the Constitution (Polish: wojna w obronie Konstytucji 3 maja)) was fought between the Polish–Lithuanian Commonwealth on one side, and the Targowica Confederation (conservative nobility of the Commonwealth opposed to the new Constitution of 3 May 1791) and the Russian Empire under Catherine the Great on the other. The war took place in two theaters: northern in Lithuania and southern in Ukraine. In both, the Polish forces retreated before the numerically superior Russian forces, though they offered significantly more resistance in the south, thanks to the effective leadership of Polish commanders Prince Józef Poniatowski and Tadeusz Kościuszko. During the three-month-long struggle several battles were fought, but no side scored a decisive victory. The largest success of the Polish forces was the defeat of one of the Russian formations at the Battle of Zieleńce on 18 June; in the aftermath of the battle the Polish highest military award, Virtuti Militari, was established. The war ended when the Polish King Stanisław August Poniatowski decided to seek a diplomatic solution, asked for a ceasefire with the Russians and joined the Targowica Confederation, as demanded by the Russian Empire. The idea of reforming the Commonwealth gained traction from the mid-17th century; it was however viewed with suspicion not only by its magnates but also by neighboring countries, which had been content with the deterioration of the Commonwealth and abhorred the thought of a resurgent and democratic power on their borders. With the Commonwealth Army reduced to around 16,000, it was easy for its neighbors to intervene directly (The Imperial Russian Army numbered 300,000 troops overall; The Prussian Army and Imperial Army of the Holy Roman Empire, 200,000 each). A major opportunity for reform presented itself during the "Great Sejm" of 1788–92. Poland's neighbors were preoccupied with wars and unable to intervene forcibly in Polish affairs. Russian Empire and Archduchy of Austria were engaged in hostilities with the Ottoman Empire (the Russo–Turkish War, 1787–1792 and the Austro-Turkish War, 1787–1791); the Russians also found themselves simultaneously fighting in the Russo-Swedish War, 1788–1790. A new alliance between the Polish–Lithuanian Commonwealth and Prussia seeming to provide security against Russian intervention, and on 3 May 1791 the new constitution was read and adopted to overwhelming popular support. With the wars between Turkey and Russia and Sweden and Russia having ended, Tsarina Catherine was furious over the adoption of the document, which she believed threatened Russian influence in Poland. Russia had viewed Poland as a de facto protectorate. "The worst possible news have arrived from Warsaw: the Polish king has become almost sovereign" was the reaction of one of Russia's chief foreign policy authors, Alexander Bezborodko, when he learned of the new constitution. The Kingdom of Prussia was also strongly opposed to the new Polish constitution, and Polish diplomats received a note that the new constitution changed the Polish state so much that Prussia did not consider its obligations binding. Just like Russia, Prussia was concerned that the newly strengthened Polish state could become a threat and the Prussian Foreign Minister, Friedrich Wilhelm von Schulenburg-Kehnert, clearly and with rare candor told Poles that Prussia did not support the constitution and refused to help the Commonwealth in any form, even as a mediator, as it was not in Prussia's interest to see the Commonwealth strengthened so that it could threaten Prussia in some future. The Prussian statesman Ewald von Hertzberg expressed the fears of European conservatives: "The Poles have given the coup de grâce to the Prussian monarchy by voting a constitution", elaborating that a strong Commonwealth would likely demand the return of the lands Prussia acquired in the First Partition. The Constitution was not adopted without dissent in the Commonwealth itself, either. Magnates who had opposed the constitution draft from the start, namely Franciszek Ksawery Branicki, Stanisław Szczęsny Potocki, Seweryn Rzewuski, and Szymon and Józef Kossakowski, asked Tsarina Catherine to intervene and restore their privileges such as the Russian-guaranteed Cardinal Laws abolished under the new statute. To that end these magnates formed the Targowica Confederation. The Confederation's proclamation, prepared in St. Petersburg in January 1792, criticized the constitution for contributing to, in their own words, "contagion of democratic ideas" following "the fatal examples set in Paris". It asserted that "The parliament ... has broken all fundamental laws, swept away all liberties of the gentry and on the third of May 1791 turned into a revolution and a conspiracy." The Confederates declared an intention to overcome this revolution. We "can do nothing but turn trustingly to Tsarina Catherine, a distinguished and fair empress, our neighboring friend and ally", who "respects the nation's need for well-being and always offers it a helping hand", they wrote. The Confederates aligned with Tsarina Catherine and asked her for military intervention. On 18 May 1792 Russian ambassador to Poland, Yakov Bulgakov, delivered a declaration of war to the Polish Foreign Minister Joachim Chreptowicz. Russian armies entered Poland and Lithuania on the same day, starting the war. The Russian army numbered nearly 98,000. It was commanded by generals Mikhail Krechetnikov and Mikhail Kakhovsky. The Russians also had an advantage in combat experience. The Russian plan called for Kakhovsky to advance through Ukraine, taking Kamieniec Podolski, Chełm and Lublin, and approach Polish capital of Warsaw from the south. Krechetnikov was to advance through Minsk, Wilno, Brześć Litewski and Białystok, and approach Warsaw from the north, where he was to link with Kakhovsky. Whereas the Russians had good intelligence network in Poland, and were mostly aware of Polish army distribution and strength; the Poles had much less intelligence, receiving contradictory and often erroneous reports, and unsure whether the war would even start up to the point the Russian troops crossed the border. Stanisław August Poniatowski, King of the Polish-Lithuanian Commonwealth, was the commander-in-chief of the Polish forces, but in practice he delegated this position to his nephew, Prince Józef Poniatowski. Poniatowski had in theory at his disposal a 48,000 strong Crown army and the Lithuanian army more than half that size to confront them. In practice, Polish forces, still forming following the reforms of the Constitution of 3 May (which specified an army size of 100,000) numbered only 37,000. The army was in the midst of reorganizing, with key documents on unit numbers and composition passed as recently as in April; it was also short on equipment and experienced personnel. In the southeast corner of the country – the Ukrainian lands – the Polish forces were initially concentrated separately in three regions of the expected front, under Tadeusz Kościuszko, Michał Wielhorski and Prince Poniatowski himself. The Polish Crown army in Ukraine, led by Prince Poniatowski, and supported by Kościuszko, was about 17,000, 21,000 or 24,000 strong (Derdej distinguishes between the primary force of 17,000 and Prince Michał Lubomirski's reserve division, of 4,500). They were faced on this southeastern war theater with a nearly four times larger enemy army under General Mikhail Kakhovsky, who had about 64,000 men under his command. Kakhovsky's forces were divided into four corps: 1st, 17,000 strong, under the command of General Mikhail Golenishchev-Kutuzov, 2nd, under General Ivan Dunin, 3rd, under General Wilhelm Derfelden, and 4th, under General Andrei Levanidov. The Targowica Confederates did not represent any real strength; and their attempts to gather popular support in Poland upon crossing borders failed miserably, with only few dozens joining at first; later the number would grow but not significantly, and even the Russians saw them as not having any military value, keeping them from the frontlines. 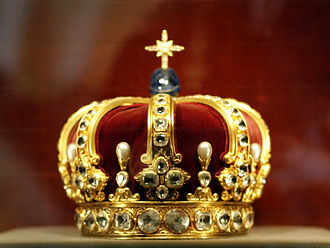 In Lithuania, Commonwealth Lithuanian Army numbered about 15,000, with an additional Crown detachment of about 3,000. They were commanded by Duke Louis of Württemberg. Württemberg made no plans for the war, and the troops were not readied for action by the time the war started. The Russian army in that theatre under General Mikhail Krechetnikov was 33,700 strong or 38,000 strong. The Russian army was also divided into four corps: 1st under one of Targowica Confederate leaders, Szymon Kossakowski 7,300 strong, 2nd under General Boris Mellin, 7,000 strong, 3rd under General Yuri Dolgorukov, 15,400 strong, and 4th under General Ivan Fersen, 8,300 strong. Additional Polish forces, about 8,000 strong, were to concentrate in Warsaw under command of King Poniatowski as reserve. Tadeusz Kościuszko proposed a plan where the entire Polish army would be concentrated and would engage one of the Russian armies, in order to assure numerical parity and to boost the morale of mostly inexperienced Polish forces with a quick victory; this plan was however rejected by Prince Poniatowski. (Only a few months before, however, both commanders had the opposite idea – Poniatowski wanted the troops concentrated, and Kościuszko, dispersed). Poniatowski also planned to avoid serious engagements in the first phase of the war, hoping to receive the expected Prussian reinforcements of 30,000 which would bring parity to the two sides. First Russian forces crossed the border in Ukraine on the night of 18/19 May 1792. The Russians in that theater would encounter significantly more resistance than they expected, as Commonwealth's top commanders, Prince Poniatowski and Kościuszko were stationed there. Kościuszko joined Prince Poniatowski near Janów on 29 May. The Crown Army was judged too weak to oppose the four columns of enemy armies advancing into West Ukraine and began a fighting withdrawal to the western side of the Southern Bug River, towards Lubar and Połonne, with Kośiuszko commanding the rear guard. Poniatowski, in face of a significant numerical inferiority of his forces, and promised reinforcements by King Poniatowski, decided to abandon Ukraine and move to Volhynia, where Połonne was to be fortified as a major defensive point, and where Lubomirski was tasked with gathering supplies. On 14 June Wielhorski's unit was defeated at the Battle of Boruszkowce. On 17 June Poniatowski finally received awaited reinforcements, about 2,000 troops led by Michał Lubomirski. 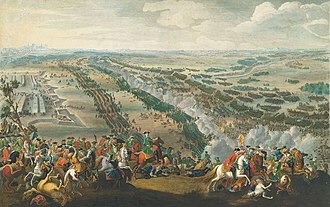 Next day the Poles, led by Prince Poniatowski, defeated one of the Russian formations of general Irakly Morkov at the Battle of Zieleńce on 18 June. The victory was celebrated by King Poniatowski, who sent the new Virtuti Militari medals for the campaign leaders and soldiers, as "the first since John III Sobieski". The Russian forces, however, kept advancing. The Polish army, under the command of Józef Poniatowski, was still retreating in order, yielding to the more powerful enemy as necessary to avoid annihilation, according to the Prince's judgement. In early July, near Dubno, Prince Poniatowski and Kościuszko were betrayed by Michał Lubomirski, who was tasked with King Poniatowski with resupplying the troops; instead Lubomirski joined the Russian side, and either hid the supplies for the Polish army, or outright passed them to the Russians. Lubomirski, however, was a powerful magnate, and it took until late May for the King to officially relieve him of his command. Within about a month of the Russian invasion, the Poles have mostly retreated from Ukraine. On 7 July Kościuszko's forces fought a delaying battle with the Russians at Volodymyr-Volynskyi (Battle of Włodzimierz). Meanwhile, Poniatowski's army retreated to the Bug River, where Kościuszko's units fought the Battle of Dubienka on 18 July to a draw. With about 5,300 troops Kościuszko defeated the attack of 25,000 Russians under General Michail Kachovski. Kośicuszko then had to retreat from Dubienka, as the Russians begun flanking his positions crossing the nearby Austrian border. Although the Poles had to retreat from the Bug River line, they were not defeated so far, and a decisive battle or battles at more favorable locations closer to Warsaw were expected. In the Grand Duchy of Lithuania the Russians crossed the Commonwealth border four days later than in the south, on 22 May. Poland's ally, the Kingdom of Prussia, broke its alliance with Poland and the Prussian commander of the Lithuanian army, Duke Württemberg, betrayed the Polish-Lithuanian cause by refusing to fight the Russians. He never reached the frontlines, feigned illness in Wołczyn, and issued contradictory orders to his troops. Thus the Army of Lithuania did little to oppose the advancing Russians, and kept withdrawing before their advance. Minsk was abandoned, after some skirmishes, on 31 May. Only after a change of commander on 4 June, did the Army, now under General Józef Judycki, try to stand and fight the Russians. The Russians however defeated Judycki at the Battle of Mir on 11 June and kept advancing through the Grand Duchy. The Commonwealth army retreated towards Grodno. On 14 June the Russians took Wilno, after only a small skirmish with local garrison; on 19 June, incompetently defended Nieśwież; and on 20 June, Kaunas, this time without any opposition. Judycki, disgraced, was replaced by Michał Zabiełło on 23 June. Nonetheless, since Mir, no decisive engagements occurred in the northern theater, as Polish army withdrew in relative order towards Warsaw, after minor defeat at Zelwa, eventually taking defensive positions along the Bug river near Brest. Russians took Grodno on 5 July and Białystok on 17 July. On 23 July the Russians took Brest, defeating the local garrison, but on 24 they were defeated near Krzemień-Wieś; this last battle was the first significant Commonwealth victory on the northern front. While Prince Poniatowski and Kościuszko considered the outcome of the war still open, and were planning to use the combined Polish-Lithuanian forces to defeat the still separate Russian forces, King Poniatowski, with the consent of the Guardians of the Laws (cabinet of ministers) decided to ask for a ceasefire. 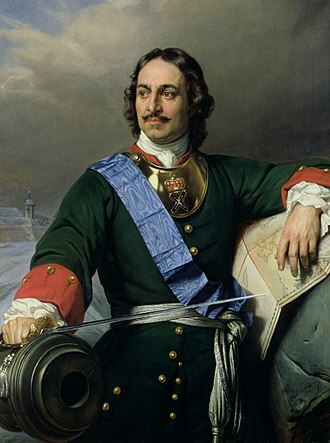 Tsarina Catherine demanded that the King Poniatowski joins the pro-Russian aristocratic faction, the Targowica Confederation; with his cabinet split, he gave in to her demand around 22–23 July, which effectively forced Prince Poniatowski to terminate military resistance. The last military confrontation of the war was fought on 26 July at Markuszów in Lublin province, where an enemy attack was repelled by Polish cavalry led by Poniatowski. At the time King Poniatowski decided to sue for peace, the Polish army was still in good fighting condition not having suffered from any major defeat nor from lack of supplies. King Poniatowski thought that due to Russian numerical superiority defeat was nonetheless imminent, and more could be gained through negotiations with the Russians, with whom he hoped a new alliance could be formed. Although subsequent events would prove him wrong, the question of whether this could have been foreseen, and prevented through continued military resistance, has been subject to much debate among historians. The Polish military was widely dissatisfied with the ceasefire; Kościuszko, Prince Poniatowski and many others would criticize the King's decision and many, including Kościuszko, would resign their commission in the coming weeks. Prince Poniatowski even considered rebelling against his uncle's orders, and even issued orders to bring the King to the army's camp by force if necessary, as was postulated by the more radical faction. Ultimately he decided not to continue fighting against his uncle's will, and the order was rescinded at the last moment before the departure of the group charged with capturing the King. Most Polish historians agree that the Polish capitulation was a mistake both from the military perspective, and the political one. In the realm of military, the Poles had reasonable chances to defend the Vistula river line, and exhaust the Russian invading forces. From the political one, showing willingness to fight could have persuaded the partitioning powers that their plan was too costly. King Poniatowski's hopes that the capitulation will allow an acceptable diplomatic solution to be worked out were soon dashed. With new deputies bribed or intimidated by the Russian troops, a new session of parliament, known as the Grodno Sejm, took place, in fall 1793. On 23 November 1793, it concluded its deliberations under duress, annulling the constitution and acceding to the Second Partition. Russia took 250,000 square kilometres (97,000 sq mi), while Prussia took 58,000 square kilometres (22,000 sq mi) of the Commonwealth's territory. This event reduced Poland's population to only one-third of what it was before the First Partition. The rump state was garrisoned by Russian troops and its independence was strongly curtailed. This outcome came also as a surprise to most of the Targowica Confederates, who had wished only to restore the status quo ante bellum (Commonwealth magnate-favoring Golden Freedoms) and had expected that the overthrow of the 3 May Constitution would achieve that end, and nothing more. The last bid to restore the reformed Commonwealth came with the Kościuszko Uprising in 1794. The uprising failed and resulted in the Third Partition in 1795, in which the country lost all its remaining territories and the Polish-Lithuanian Commonwealth ceased to exist. Wikimedia Commons has media related to Polish-Russian war 1792. ^ a b c d e f g h i j Alex Storozynski (January 2011). Kościuszko Książe chłopów [Kosciuszko Prince of Peasants] (in Polish). W.A.B. p. 223. ISBN 978-83-7414-930-3. Retrieved 2 January 2013. ^ a b Juliusz Bardach; Boguslaw Lesnodorski; Michal Pietrzak (1987). Historia panstwa i prawa polskiego [History of Polish State and Law] (in Polish). Warsaw: Panstwowe Wydawnictwo Naukowe. p. 317. OCLC 654549824. ^ a b Norman Davies (1982). God's Playground, a History of Poland: The origins to 1795. Columbia University Press. p. 535. ISBN 978-0-231-05351-8. Retrieved 26 April 2012. ^ Wojciech Mikuła (1995). Zieleńce Dubienka: z dziejów wojny w obronie Konstytucji 3 maja [Zieleńce Dubienka: From the History of the War in Defense of the 3 May Constitution] (in Polish). Ajaks. ISBN 978-83-85621-02-7. Retrieved 25 October 2012. ^ a b c d e f g Jerzy Łojek (1986). Geneza i obalenie Konstytucji 3 maja [Genesis and Fall of the 3 May Constitution] (in Polish). Wydawn. Lubelskie. pp. 304–306. ISBN 978-83-222-0313-2. Retrieved 17 December 2011. ^ Jerzy Skowronek (1986). Książę Józef Poniatowski [Prince Józef Poniatowski] (in Polish). Wrocław: Ossolineum. pp. 58, 60. ISBN 83-04-02321-0. ^ Norman Davies (30 March 2005). God's Playground: The origins to 1795. Columbia University Press. p. 274. ISBN 978-0-231-12817-9. Retrieved 13 August 2011. ^ John P. LeDonne (1997). The Russian empire and the world, 1700–1917: the geopolitics of expansion and containment. Oxford University Press. pp. 41–42. ISBN 978-0-19-510927-6. Retrieved 5 July 2011. ^ Krzysztof Bauer (1991). Uchwalenie i obrona Konstytucji 3 Maja [Passing and defense of the Constitution of 3 May] (in Polish). Wydawnictwa Szkolne i Pedagogiczne. p. 9. ISBN 978-83-02-04615-5. Retrieved 2 January 2012. ^ a b Robert Bideleux; Ian Jeffries (28 January 1998). A history of eastern Europe: crisis and change. Psychology Press. p. 160. ISBN 978-0-415-16111-4. Retrieved 11 September 2011. ^ a b Jerzy Lukowski (3 August 2010). Disorderly liberty: the political culture of the Polish-Lithuanian Commonwealth in the eighteenth century. Continuum International Publishing Group. p. 226. ISBN 978-1-4411-4812-4. Retrieved 23 September 2011. ^ Piotr Stefan Wandycz (2001). The price of freedom: a history of East Central Europe from the Middle Ages to the present. Psychology Press. p. 128. ISBN 978-0-415-25491-5. Retrieved 5 July 2011. ^ a b c d e f g h Jacek Jędruch (1998). Constitutions, elections, and legislatures of Poland, 1493–1977: a guide to their history. EJJ Books. pp. 184–185. ISBN 978-0-7818-0637-4. Retrieved 13 August 2011. ^ Paul W. Schroeder (1996). The transformation of European politics, 1763–1848. Oxford University Press. p. 84. ISBN 978-0-19-820654-5. Retrieved 5 July 2011. ^ Jerzy Lukowski; Hubert Zawadzki (2001). A concise history of Poland. Cambridge University Press. p. 84. ISBN 978-0-521-55917-1. Retrieved 5 July 2011. ^ a b Krzysztof Bauer (1991). Uchwalenie i obrona Konstytucji 3 Maja [Passing and Fall of the 3 May Constitution] (in Polish). Wydawnictwa Szkolne i Pedagogiczne. p. 16. ISBN 978-83-02-04615-5. Retrieved 2 January 2012. ^ a b Jerzy Łojek (1986). Geneza i obalenie Konstytucji 3 maja [Genesis and Fall of the 3 May Constitution] (in Polish). Wydawn. Lubelskie. pp. 325–326. ISBN 978-83-222-0313-2. Retrieved 17 December 2011. ^ Hon. Carl L. Bucki (3 May 1996). "Constitution Day: May 3, 1791". Polish Academic Information Center. Archived from the original on 5 December 2008. Retrieved 21 September 2008. ^ Robert Howard Lord (1915). The second partition of Poland: a study in diplomatic history. Harvard University Press. p. 275. OCLC 579571081. Retrieved 22 September 2011. ^ a b Michal Kopeček (2006). Discourses of collective identity in Central and Southeast Europe (1770–1945): texts and commentaries. Central European University Press. pp. 282–284. ISBN 978-963-7326-52-3. Retrieved 22 September 2011. ^ a b Michal Kopeček (2006). Discourses of collective identity in Central and Southeast Europe (1770–1945): texts and commentaries. Central European University Press. pp. 284–285. ISBN 978-963-7326-52-3. Retrieved 22 September 2011. ^ a b c d e f Jadwiga Nadzieja (1988). Od Jakobina do księcia namiestnika [From Jacobin to Prince Namestnik] (in Polish). Wydawnictwo "Śląsk". pp. 38–39. ISBN 978-83-216-0682-8. ^ a b c Piotr Derdej (2008). Zieleńce – Mir – Dubienka 1792 (in Polish). Bellona. pp. 35–36. ISBN 978-83-11-11039-7. Retrieved 1 July 2013. ^ Piotr Derdej (2008). Zieleńce – Mir – Dubienka 1792 (in Polish). Bellona. p. 52. ISBN 978-83-11-11039-7. Retrieved 1 July 2013. ^ a b c d Jerzy Skowronek (1986). Książę Józef Poniatowski [Prince Józef Poniatowski] (in Polish). Wrocław: Ossolineum. pp. 50–51. ISBN 83-04-02321-0. ^ Jerzy Łojek (1986). Geneza i obalenie Konstytucji 3 maja [Genesis and Fall of the 3 May Constitution] (in Polish). Wydawn. Lubelskie. p. 298. ISBN 978-83-222-0313-2. Retrieved 17 December 2011. ^ a b Piotr Derdej (2008). Zieleńce – Mir – Dubienka 1792 (in Polish). Bellona. p. 51. ISBN 978-83-11-11039-7. Retrieved 1 July 2013. ^ Piotr Derdej (2008). Zieleńce – Mir – Dubienka 1792 (in Polish). Bellona. pp. 55–57, 62. ISBN 978-83-11-11039-7. Retrieved 1 July 2013. ^ a b c Piotr Derdej (2008). Zieleńce – Mir – Dubienka 1792 (in Polish). Bellona. p. 97. ISBN 978-83-11-11039-7. Retrieved 1 July 2013. ^ Jerzy Łojek (1986). Geneza i obalenie Konstytucji 3 maja [Genesis and Fall of the 3 May Constitution] (in Polish). Wydawn. Lubelskie. p. 299. ISBN 978-83-222-0313-2. Retrieved 17 December 2011. ^ a b Jerzy Łojek (1986). Geneza i obalenie Konstytucji 3 maja [Genesis and Fall of the 3 May Constitution] (in Polish). Wydawn. Lubelskie. p. 302. ISBN 978-83-222-0313-2. Retrieved 17 December 2011. ^ Alex Storozynski (January 2011). Kościuszko Książe chłopów [Kosciuszko Prince of Peasants] (in Polish). W.A.B. p. 222. ISBN 978-83-7414-930-3. Retrieved 2 January 2013. ^ Piotr Derdej (2008). Zieleńce – Mir – Dubienka 1792 (in Polish). Bellona. p. 50. ISBN 978-83-11-11039-7. Retrieved 1 July 2013. ^ a b c Herbst, Stanisław (1969). "Tadeusz Kościuszko". Polski Słownik Biograficzny (in Polish). 14. Wrocław. p. 433. ^ a b c Alex Storozynski (January 2011). 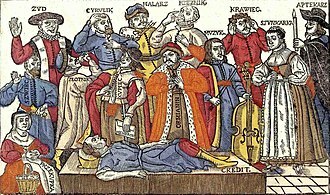 Kościuszko Książe chłopów [Kosciuszko Prince of Peasants] (in Polish). W.A.B. p. 224. ISBN 978-83-7414-930-3. Retrieved 2 January 2013. ^ a b Piotr Derdej (2008). Zieleńce – Mir – Dubienka 1792 (in Polish). Bellona. p. 58. ISBN 978-83-11-11039-7. Retrieved 1 July 2013. ^ Piotr Derdej (2008). Zieleńce – Mir – Dubienka 1792 (in Polish). Bellona. pp. 63–65. ISBN 978-83-11-11039-7. Retrieved 1 July 2013. ^ Piotr Derdej (2008). Zieleńce – Mir – Dubienka 1792 (in Polish). Bellona. p. 67. ISBN 978-83-11-11039-7. Retrieved 1 July 2013. ^ Alex Storozynski (January 2011). Kościuszko Książe chłopów [Kosciuszko Prince of Peasants] (in Polish). W.A.B. p. 225. ISBN 978-83-7414-930-3. Retrieved 2 January 2013. ^ Jerzy Skowronek (1986). Książę Józef Poniatowski [Prince Józef Poniatowski] (in Polish). Wrocław: Ossolineum. pp. 56–57. ISBN 83-04-02321-0. ^ a b c Jerzy Skowronek (1986). Książę Józef Poniatowski [Prince Józef Poniatowski] (in Polish). Wrocław: Ossolineum. p. 60. ISBN 83-04-02321-0. ^ Alex Storozynski (January 2011). Kościuszko Książe chłopów [Kosciuszko Prince of Peasants] (in Polish). W.A.B. pp. 226–227. ISBN 978-83-7414-930-3. Retrieved 2 January 2013. ^ Piotr Derdej (2008). Zieleńce – Mir – Dubienka 1792 (in Polish). Bellona. pp. 79–83. ISBN 978-83-11-11039-7. Retrieved 1 July 2013. ^ a b Alex Storozynski (January 2011). Kościuszko Książe chłopów [Kosciuszko Prince of Peasants] (in Polish). W.A.B. pp. 228–229. ISBN 978-83-7414-930-3. Retrieved 2 January 2013. ^ Piotr Derdej (2008). Zieleńce – Mir – Dubienka 1792 (in Polish). Bellona. p. 95. ISBN 978-83-11-11039-7. Retrieved 1 July 2013. ^ Piotr Derdej (2008). Zieleńce – Mir – Dubienka 1792 (in Polish). Bellona. p. 98. ISBN 978-83-11-11039-7. Retrieved 1 July 2013. ^ a b c d e Piotr Derdej (2008). Zieleńce – Mir – Dubienka 1792 (in Polish). Bellona. pp. 98–103. ISBN 978-83-11-11039-7. Retrieved 1 July 2013. ^ Piotr Derdej (2008). Zieleńce – Mir – Dubienka 1792 (in Polish). Bellona. p. 108. ISBN 978-83-11-11039-7. Retrieved 1 July 2013. ^ Piotr Derdej (2008). Zieleńce – Mir – Dubienka 1792 (in Polish). Bellona. pp. 108–110. ISBN 978-83-11-11039-7. Retrieved 1 July 2013. ^ a b Piotr Derdej (2008). Zieleńce – Mir – Dubienka 1792 (in Polish). Bellona. pp. 115–116. ISBN 978-83-11-11039-7. Retrieved 1 July 2013. ^ a b Piotr Derdej (2008). Zieleńce – Mir – Dubienka 1792 (in Polish). Bellona. p. 117. ISBN 978-83-11-11039-7. Retrieved 1 July 2013. ^ Piotr Derdej (2008). Zieleńce – Mir – Dubienka 1792 (in Polish). Bellona. pp. 118–119. ISBN 978-83-11-11039-7. Retrieved 1 July 2013. ^ Piotr Derdej (2008). Zieleńce – Mir – Dubienka 1792 (in Polish). Bellona. p. 130. ISBN 978-83-11-11039-7. Retrieved 1 July 2013. ^ Alex Storozynski (January 2011). Kościuszko Książe chłopów [Kosciuszko Prince of Peasants] (in Polish). W.A.B. p. 231. ISBN 978-83-7414-930-3. Retrieved 2 January 2013. ^ a b c Michalski, Jerzy (2011). "Stanisław August Poniatowski". Polski Słownik Biograficzny (in Polish). 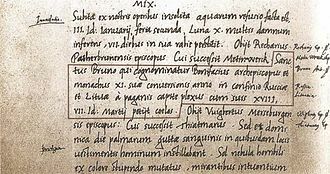 41. p. 628. ^ a b c Jerzy Skowronek (1986). Książę Józef Poniatowski [Prince Józef Poniatowski] (in Polish). Wrocław: Ossolineum. pp. 60–62. ISBN 83-04-02321-0. ^ Jerzy Łojek (1986). Geneza i obalenie Konstytucji 3 maja [Genesis and Fall of the 3 May Constitution] (in Polish). Wydawn. Lubelskie. pp. 293–296, 306–307, 318, 418. ISBN 978-83-222-0313-2. Retrieved 17 December 2011. ^ Piotr Derdej (2008). Zieleńce – Mir – Dubienka 1792 (in Polish). Bellona. pp. 130–131, 144–145. ISBN 978-83-11-11039-7. Retrieved 1 July 2013. ^ Alex Storozynski (January 2011). Kościuszko Książe chłopów [Kosciuszko Prince of Peasants] (in Polish). W.A.B. pp. 232–233. ISBN 978-83-7414-930-3. Retrieved 2 January 2013. ^ a b c Jerzy Łojek (1986). Geneza i obalenie Konstytucji 3 maja [Genesis and Fall of the 3 May Constitution] (in Polish). Wydawn. Lubelskie. p. 402. ISBN 978-83-222-0313-2. Retrieved 17 December 2011. ^ a b Piotr Derdej (2008). Zieleńce – Mir – Dubienka 1792 (in Polish). Bellona. p. 160. ISBN 978-83-11-11039-7. Retrieved 1 July 2013. ^ a b c d Jacek Jędruch (1998). Constitutions, elections, and legislatures of Poland, 1493–1977: a guide to their history. EJJ Books. pp. 186–187. ISBN 978-0-7818-0637-4. Retrieved 13 August 2011. ^ Norman Davies (30 March 2005). God's Playground: The origins to 1795. Columbia University Press. p. 254. ISBN 978-0-231-12817-9. Retrieved 13 August 2011. ^ Daniel Stone (2001). The Polish-Lithuanian State: 1386–1795. University of Washington Press. pp. 282–285. ISBN 978-0-295-98093-5. Retrieved 8 January 2013. ^ Jacek Jędruch (1998). Constitutions, elections, and legislatures of Poland, 1493–1977: a guide to their history. EJJ Books. pp. 188–189. ISBN 978-0-7818-0637-4. Retrieved 13 August 2011. Andrzej Grabski et al., Zarys dziejów wojskowości polskiej do roku 1864. Wydawnictwo Ministerstwa Obrony Narodowej. Warszawa 1966. Antoni Juszczyński, Marian Krwawicz, Wypisy źródłowe do historii polskiej sztuki wojennej. Polska sztuka wojenna w latach 1764–1793. Zeszyt dziewiąty. Wydawnictwo Ministerstwa Obrony Narodowej. Warszawa 1957. The liberum veto was a parliamentary device in the Polish–Lithuanian Commonwealth. The rule was in place from the century to the late 18th century in the Sejms parliamentary deliberations. It was based on the premise that since all Polish noblemen were equal, piotr Stefan Wandycz wrote that the liberum veto had become the sinister symbol of old Polish anarchy. 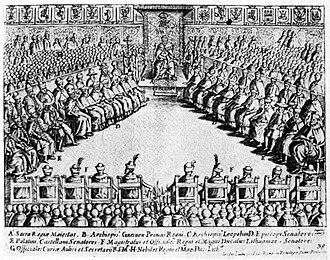 In the period of 1573–1763, about 150 sejms were held, about a failing to pass any legislation. The expression Polish parliament in many European languages originated from the apparent paralysis, each deputy to a Sejm was elected at a sejmik and represented the entire region. He thus assumed responsibility to his sejmik for all decisions taken at the Sejm, since all noblemen were considered equal, a decision taken by a majority against the will of a minority was considered a violation of the principle of political equality. At first, the deputies were often convinced or cowed back to withdraw their objections. Also, at first, the rule was used to strike down only individual laws, not to dissolve the chamber, for example, as historian Władysław Czapliński describes in the Sejm of 1611 context, some resolutions were struck down, but others passed. From the mid-17th century onward, however, an objection to any item of Sejm legislation from a deputy or senator automatically caused other, earlier adopted legislation to be rejected and that was because all legislation that was adopted by a given Sejm formed a whole. It is commonly and erroneously, believed that a Sejm was first disrupted by the veto by a Trakai deputy, Władysław Siciński. In reality, he vetoed only the continuation of the Sejms deliberations beyond the time limit. He had, set up a dangerous precedent, over the proceedings of the next few sejms, the veto was still occasionally overruled, but it became gradually more accepted. 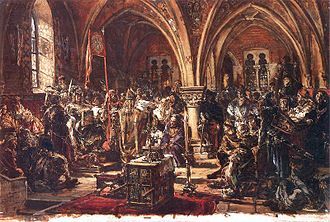 Before 20 years had passed, in 1669 in Kraków, the entire Sejm was prematurely disrupted on the strength of the liberum veto before it had finished its deliberations by the Kiev deputy, Adam Olizar. 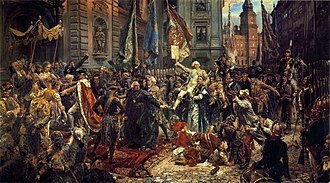 The practice spiraled out of control, and in 1688, the Sejm was dissolved even before the proceedings had begun or the Marshal of the Sejm was elected, during the reign of John III Sobieski, half of Sejm proceedings were scuttled by the veto. The War Order of Virtuti Militari is Polands highest military decoration for heroism and courage in the face of the enemy at war. It was created in 1792 by Polish King Stanisław II August and is one of the oldest military decorations in the still in use. It is awarded in five classes either for personal heroism or, to commanders, some of the heroic actions recognized by an award of the Virtuti Militari are equivalent to those meriting the British Victoria Cross or the American Medal of Honor. Soon after its introduction, the Polish-Lithuanian Commonwealth was destroyed in the partitions of Poland, since then, the award has been reintroduced and banned several times, with its fate closely reflecting the vicissitudes of the Polish people. There have been no new awards since 1989, throughout its history, the War Order of Virtuti Militari has shared its countrys fate, and has been abolished and reintroduced several times. The order was created on 22 June 1792 by King Stanisław II August to commemorate the victorious Battle of Zieleńce. Initially, it comprised two classes, a medal for generals and officers, and a silver one for non-commissioned officers. By August 1792, a statute for the decoration had been drafted, the regulation changed the shape of the decoration from a medal to a cross, which has not changed substantially since then. It introduced five classes to the order, the first members of the decorations chapter were its first recipients. For the Polish-Russian War in Defence of the Constitution of 1792, anyone who wore the medal could be demoted and expelled from the army by Polands new authorities. Although on 23 November 1793 the Grodno Sejm reintroduced the decoration, it was banned again on 7 January 1794, at the insistence of Russias Catherine the Great. Only a year later, the Polish-Lithuanian Commonwealth itself shared the fate of its decoration when what remained of the Commonwealth was annexed by its neighbors in the partitions of Poland, King Stanisław II August abdicated the same year. During his reign,526 medals had been granted,440 Silver Medals and Crosses,85 Golden Medals and Crosses, and 1 Commanders Cross. 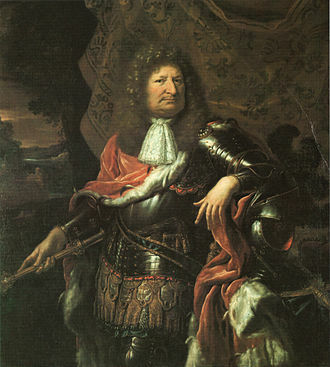 The slight amount of fighting in Poland resulted in the accession of Augustus III, who in addition to Russia and Saxony, was politically supported by the Habsburgs. The wars major military campaigns occurred outside Poland, the Bourbons, supported by Charles Emmanuel III of Sardinia, moved against isolated Habsburg territories. Great Britains unwillingness to support Habsburg Austria demonstrated major cracks in the Anglo-Austrian Alliance, Francis Stephen, the duke of Lorraine, was given the Grand Duchy of Tuscany in compensation for the loss of Lorraine. The Duchy of Parma went to Austria whereas Charles of Parma took the crowns of Naples and Sicily, after Sigismund II Augustus, each King of Poland was elected by the Szlachta in the Sejm. As a result, the kings had little formal power, but the Sejm was often paralyzed by the Liberum Veto, the right of any member of the Sejm to block its decisions. Polands neighbors often influenced the Sejm, and by the early 18th century the system was in decline. Elector Augustus the Strong of Saxony had become king in 1697, in 1705, during the Great Northern War, Charles XII of Sweden deposed Augustus and installed Stanisław I as king. After Charles defeat by Russia at Poltava in 1709, Stanisław fled to France, in 1725, his daughter Maria married King Louis XV of France. Augustus tried to make the Polish crown hereditary in his family, so when he died in 1733, Stanisław hoped to regain the throne. He was backed by his son-in-law Louis XV, who wanted to counter Russian and Austrian power by renewing Frances traditional alliance with Poland. Frances prime minister, Cardinal Fleury, saw the Polish struggle as a chance to strike at the Austrian monarchy in the west without seeming to be the aggressor. While he cared little for who should become King of Poland and their marriage would bring Austrian power dangerously close to France. Augustus II died on February 1,1733, the Marquis de Monti, Frances ambassador in Warsaw, convinced the rival Potocki and Czartoryski families to unite behind Stanisław. The Smolensk War was a conflict fought between the Polish-Lithuanian Commonwealth and Russia. Hostilities began in October 1632 when Russian forces tried to capture the city of Smolensk, small military engagements produced mixed results for both sides, but the surrender of the main Russian force in February 1634 led to the Treaty of Polyanovka. Russia accepted Polish-Lithuanian control over the Smolensk region, which lasted for another 20 years, in 1632, Sigismund III Vasa, the king of Poland and Grand Duke of Lithuania, died. Swedish king Gustav II Adolph sent envoys to Russia and the Ottoman Empire to propose an alliance, the Commonwealth was not ready for war. In May the Senate of Poland agreed to increase the size of the army, but Grand Lithuanian Hetman Lew Sapieha objected, arguing that the current forces were enough, nonetheless the Field Lithuanian Hetman Krzysztof Radziwiłł recruited an additional 2,000 soldiers. Russias aim was to control of Smolensk, which it had ceded to the Commonwealth in 1618 at the Truce of Deulino. Smolensk was the capital of the Commonwealths Smoleńsk Voivodeship, but it had often been contested, a major supporter of the war was the Tsars father, Patriarch Filaret, who represented the anti-Polish camp at court. Inspired by the Zemsky Sobors call for vengeance and reclamation of lost lands, several towns and castles fell as the Russians advanced, and on 28 October 1632, Shein moved to begin the siege of Smolensk. Former Polish estimates of the size of the Russian forces varied from 25,000 through 30,000 to 34,500, recent research on 17th-century Russian archive documents showed that the size of the Russian army was 23,961. 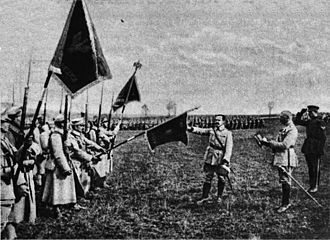 Compared to former Russian armies, Sheins army was significantly modernised, eight such regiments, totaling 14,000 to 17,000 men, comprised part of Sheins army. Commonwealth forces in Smolensk were composed of the Smolensk garrison, strengthened by the local nobility, the citys fortifications had recently been improved with Italian-style bastions. Shein constructed lines of circumvallation around the fortress, using tunnels and mines, his forces damaged a long section of the city wall and one of its towers.